I’ve had the fortune of becoming well accustomed to truffles. My first proper experience was working with white truffles imported from Italy many years ago. 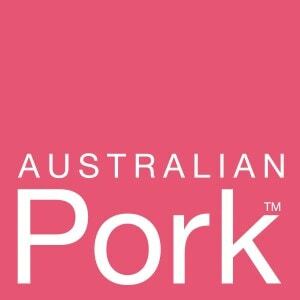 Now, in Australia, we have one of the world’s most prized delicacies being grown in our backyard. Australian black truffles (Tuber melanosporum) which are the same species as the famous Périgord ones cultivated in France. These black truffles have a long history in France, where they have set the benchmark of the world’s finest black truffles. Recently I had the pleasure of visiting Denzil and Anne Sturgiss of Tarago Truffles for a hunt for black truffles during this year’s truffle Season. A hunt is unforgettable, and quite a different experience especially, for the uninitiated to the world of foraging. On our hunt we were joined by Utah and Dusty, and their handlers Denzil & Matt. One of the best parts of the hunt is watching the hunters at work; the dogs, that is. There’s something quite fascinating about the partnership between dog and handler, and the fact that most humans aren’t able to find truffles on our own (I took this as a personal challenge, and found a few 100g truffles unassisted by our new canine friends). 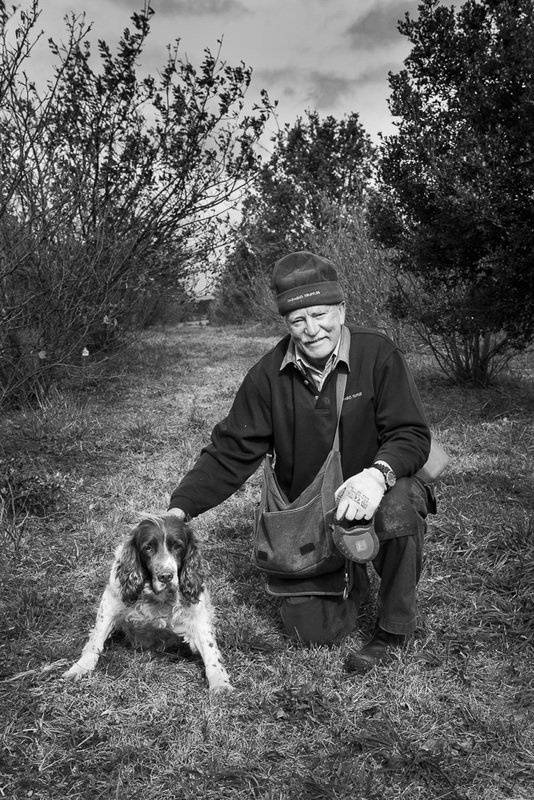 Dependent upon the nose of a well-trained dog (or a pig, as it used to be), truffles need to be expertly sniffed out. 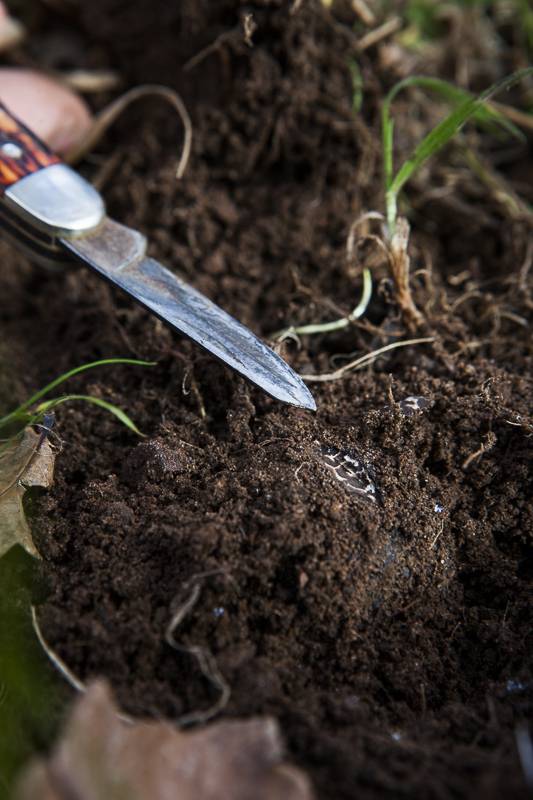 A truffle hunt is akin to finding buried treasure, and following Utah and Dusty’s lead as they slip carefully around the curated hazelnut and oak trees, and delicately start shifting dirt until, the top of a truffle is revealed in situ. It is precisely excavated out while the dogs patiently wait for their reward. The scent of damp earthy mustiness that is strangely alluring mingles in the cold, crisp air, and a sudden rush comes over you. 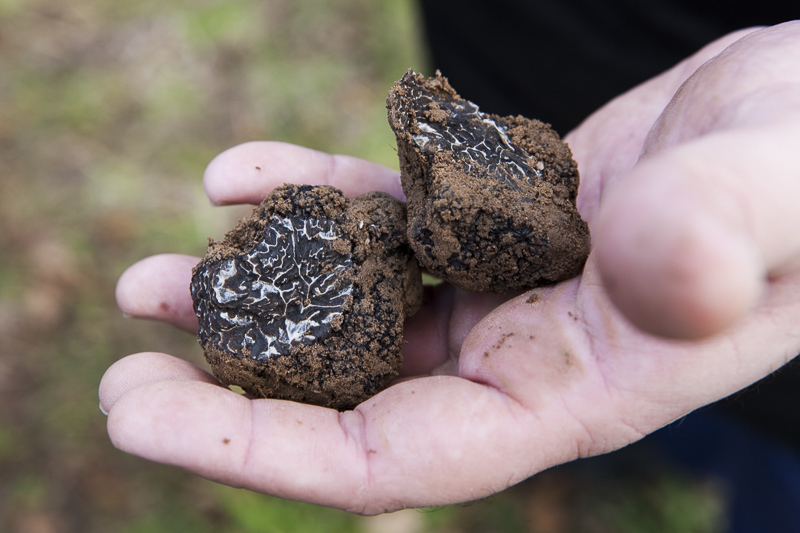 It’s a thrill, and excitement that happens every time we unearth a truffle, not unlike unwrapping presents at Christmas time, and certainly a good way to work up an appetite. Luckily, Anne has been making some deliciously warm inviting soup, as we adjourn to the packing shed. 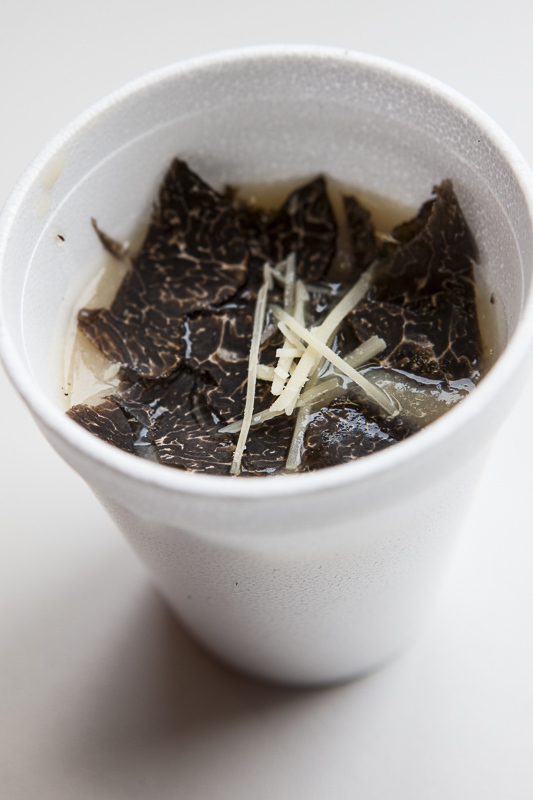 It is a bitter sweet feeling being torn from the thrill of the hunt in the cold air as it starts to rain, only to be loving welcomed to a delightfully wonderful cup of soup, topped with lashings of finely sliced fresh truffles. It is here, as we warm, where we see the process of how the truffles are lovingly cared, cleaned, weighed and then packed and ready for shipping to all parts of the world. 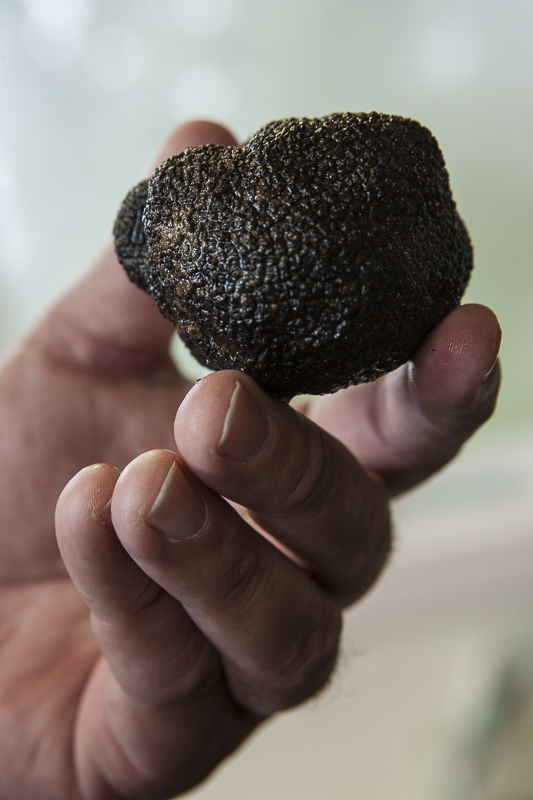 Australian growers will see a much more mature crop in many regions in this 2015 season and are now also producing higher truffle yields per hectare than those of any other farms in the world. 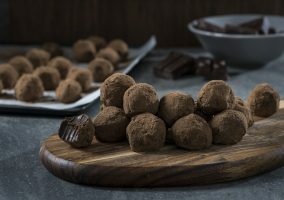 This year the Canberra and N.S.W Southern Highlands are producing some of Australia’s finest truffles to date, and with their exceptional aroma some are being considered to reach higher than market value. I highly recommend you experience a truffle hunt for yourselves, it is truly life changing and an absolute must for any chef, enthusiastic foodie or truffle enthusiast. 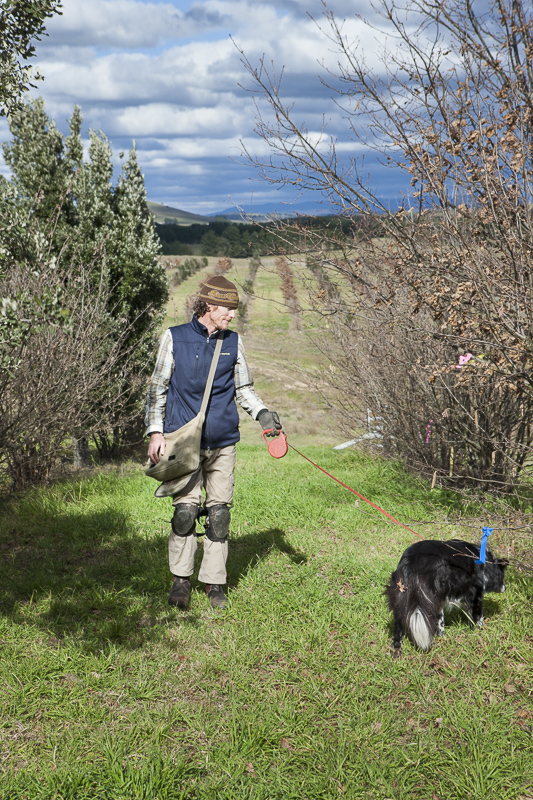 Denzil and Anne Sturgiss invite you to join them and the dogs to hunt for black truffles at Tarago Truffles on Saturdays during this year’s Truffle Festival Season. They are located at 173 Willandra Lane, Tarago NSW 2580. Approx 2.5 to 3 hours from Sydney. For our Australian Flavours Chef Guided Truffle Hunt please Contact Us. I recently bought some truffles from Anne and she said you might be able to give me a recipe for making truffle oil. When I visited Italy with my mother and children four years ago we fell in love with the beautiful truffle oil and truffle honey. No one makes it like the Italians. I really set off the alarms at the airport with my 8 bottles of truffle oil. So I am a devotee. Hope you can help. Received my black gold truffles today and need to use them asap. Thanks for the request! I hope you had as much fun as I always do, down in Tarago with Anne and the gang at the farm! Making your own truffle oil is easy. 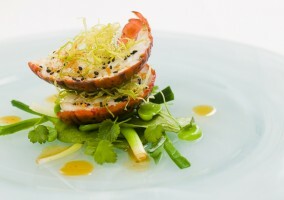 It is achieved by storing pieces of fresh truffle in clean, sweet, mild tasting oil. You first need to heat the oil slightly, then shave fresh truffles. I recommend to use at least 10g of fresh black truffle per litre of oil and the more you finely slice the truffles, the more of its essence it will give up into the oil and the less flavour the pieces themselves will retain. Light olive oil and grapeseed oil are the best to use. Store truffle oil in a cool, dark place away from heat, light and oxygen. Some methods of excluding oxygen include sealing wax or plastic. Truffle oil that is kept very cold in your refrigerator will solidify, but this is not harmful to the flavour. Truffle oil is tolerant of cold, and can even be frozen, but like fine wine it is less tolerant of temperature fluctuations and may lose quality if it is allowed to solidify and liquefy repeatedly. Remove from cold storage only the amount you intend to immediately use, and leave the rest at temperature.